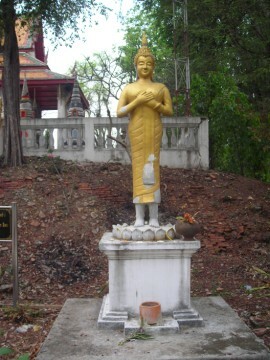 This temple is located far away from the city island in the southeastern section of the city. this monastery. 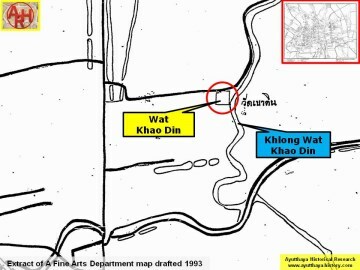 Wat Khao Din marks the easternmost perimeter of this website’s research. 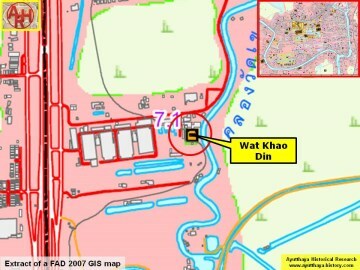 Department map. 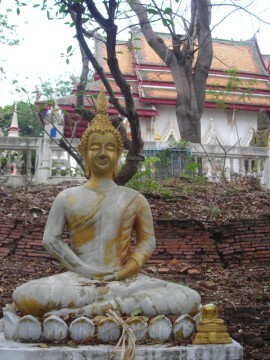 It was built on the site of an earlier monastery from the Ayutthaya period. 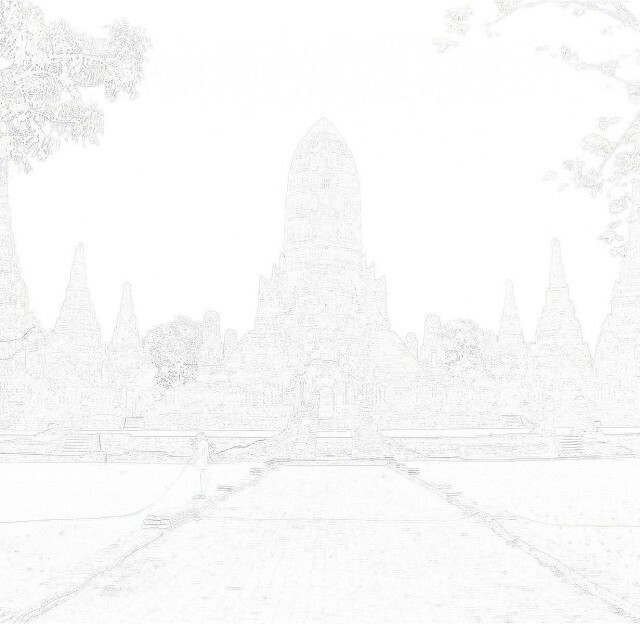 provide clerical services (monks’quarter, sermon hall, bell tower crematorium, etc.). swan-like Hansa, and its sema stones are sheltered inside of their individual pedestals. 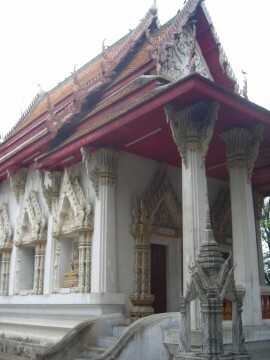 The new ordination hall reflects the style of the Bangkok period. construction of the Asian highway. It has formed ponds at the monastery as a result. cultivation. 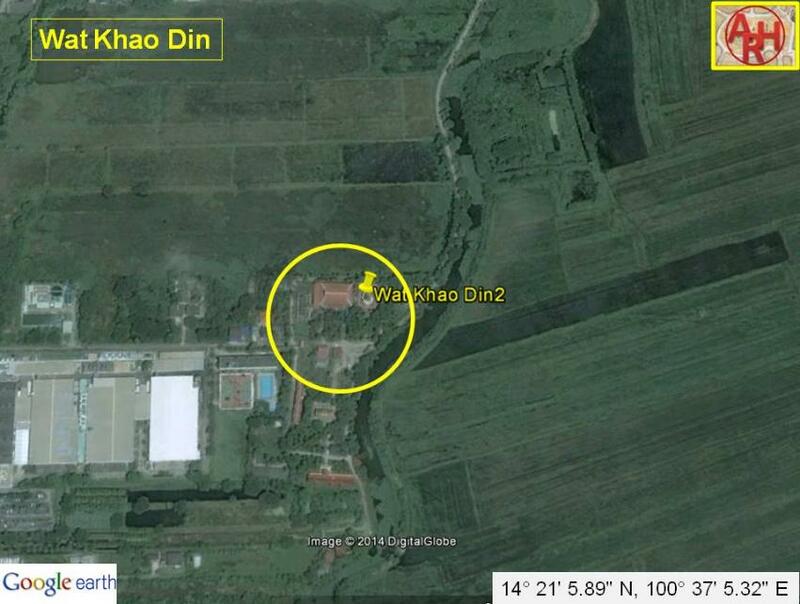 The exact date of its establishment is unknown.